Ms. Gadson's 5th grade class was recently in the media center, and I caught a few of her students relaxing and enjoying some of the latest books that were added to our collection. It looks as though our newest books are a big hit! Every Tuesday morning, our maker's club meets in the media center. These students have the opportunity to use Kano computers to code programs like art and light. They also have the freedom to code Sphero computer using the iPad, as well as build circuits. I love seeing them challenge themselves to figure out something new, and I relish the opportunity to help them determine why their code is not working. See our future programmers below. It's that time of the school year when students are getting involved in research. I love having the opportunity to introduce students to research, because it is such an important skill that they will need to use throughout so many aspects of their lives- not just in school. This year, I am focusing on teaching the Big6 Research Skills to our 3rd - 5th grade students, and the Super3 Research Skills to our K-2nd students. I really appreciate how the Big6 helps break the research process down and enables students to determine a focus for their research before they ever go to Destiny (our online catalog) to look for a book or to Cobb Digital Library to search for online resources. I have learned in the past that many students are quite capable of searching for sources for their research without very much assistance. The problems seem to arise when they have found their sources and they are attempting to find the information that will address their research topics. This is Step 4 of the Big6, and this is the step that I am concentrating on with our students right now. As we focus on Step 4, we will work on skimming and scanning, determining important information, taking notes, and citing sources. I am thrilled that we have started our research lessons, and I am eager to see what our students produce as a result of their research. This week, students at Argyle have visited our Wild West Book Fair so that they can "saddle up and read" a few good books. Students have enjoyed visiting the book fair and shopping for books, along with fun items such as posters, bookmarks, and creative fun kits. The excitement that they display when the book fair is here is contagious! I find myself browsing the books and shopping for stories that I can add to my read-aloud collection. Here are pictures of some of our enthusiastic shoppers. Saddle up and visit our fall book fair Oct. 16th - Oct. 20th! We will have popular titles such as Lego Ninjago, Dog Man, Pete the Cat, Owl Diaries, Goosebumps, and Star Wars Jedi Academy. 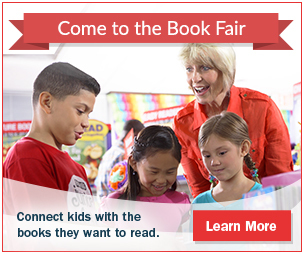 If you are unable to visit our book fair in person, you can shop the fair online. Our online book fair will be available from Oct. 8 - Oct. 21st. Any orders placed online will ship directly to our school and be given to your student.